Having air conditioning is great, but it does bring up a few more complications. The biggest one being what to do about the monthly energy bill. It’s not that having an increased energy bill is unexpected, but an AC bill running slightly higher than budget is something no one wants. Luckily, there’s hope. 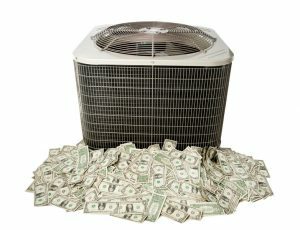 There are several ways that any homeowner can lower their AC bill and a couple of them can even be done right now. Even after adding up all of the electronics, kitchen equipment, and home lighting, the U.S. Department of Energy estimates that well over half of the energy consumption in the average home is a result of heating and cooling. It’s no wonder that heating and cooling a house can be a real budget buster. Whether a homeowner is in a brand new house or living in a dreamy craftsman style they have always wanted, every single one is looking for ways to save on energy costs by making their home more efficient.